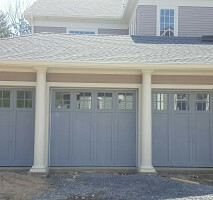 Apex Garage Doors is a full-service family owned and operated garage door installation and service company assisting the greater New Jersey, Staten Island and NY areas since 1990. We are your last stop to meeting all of your garage door and garage door opener needs. 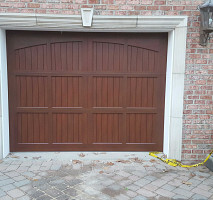 There is no door or issue too big or too small... We service residential and commercial garage doors as well as offer same day service and 24 hour emergency service. Apex will send professional and experienced technicians in fully stocked trucks to your home or business to assess and tackle almost any garage door necessity on the same day. 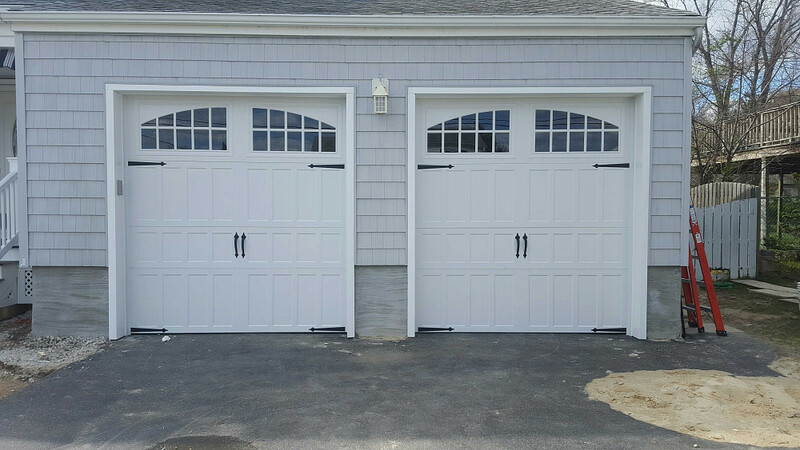 We use only the highest quality name brand garage doors, openers and parts featuring a wide range of Wayne Dalton doors and a large selection of Chamberlin Liftmaster openers for chain, belt and screw drive models. 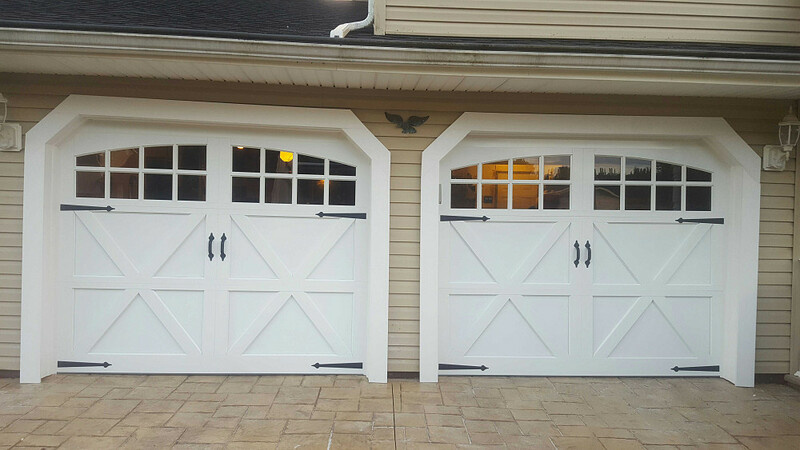 When we are finished with a job you can feel assured, with Apex Garage Doors our parts and labor are all backed with warranties that guarantee your ultimate satisfaction. For over 20 years we have been providing service to New Jersey, Newark, Trenton, Staten Island, New York and beyond. Beginning small as a family business and built on the strong values and traditions of family, though we have grown in size, ability and experience we still operate on those same roots of a small mom and pop business, maintaining those values that you can trust. 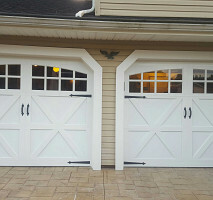 Apex Garage Doors will have you covered whether you are in the market for a new garage door to replace that worn out or outdated model, find yourself in crisis with your existing garage door or opener or if it's just time for a tune up and safety inspection for peace of mind. 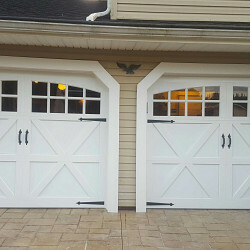 Our friendly and knowledgeable phone staff is available 24/7 and can assist you in finding the perfect new garage door for your home or business, troubleshooting any worries or issues you may have or provide you with your free no obligation quote for repair or installation. Rain or shine, nights and weekends, any hour of any day call now! Comments: Damien and his partner were great! Came out to give me an estimate and ended up doing the job right then & there. Fabulous price and did all another place was going to do for just about half the price. First day using the door opener, but I love it. Good warranty and super nice guys! I would highly recommend them!! Comments: After repeated calls and texts to Damien for my displeasure with his service, which cost me over $700, he has neglected to come back to my house to fix the problem of a jumpy door when I open it. My review is that I feel neglected and blown off. Comments: Excellent in all respects, professionally and in workmanship. Work Description: Job done timely and throughout. Comments: I would definitely recommend this company. 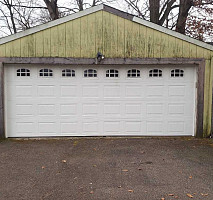 Work Description: Repaired overhead garage door. Comments: The work was complete quickly and efficiently. Damien's work ethic is one of the best I have ever seen. There is not doubt that the labor charged had no "fat" built in. He accomplish the task, went over the work and instructed me how to maintain the door. I would definitely recommend him to my friends. Comments: Called Damien day when spring broke. Came next morning. Finished job quickly and efficiently. Demonstrated how to do preventaive maintenance. Will definitely recommend. Work Description: The job was completed as promised and the quality of the work was exceptional. Comments: Excellent work and dependable service. 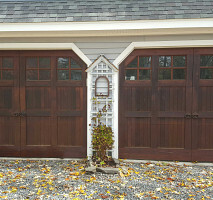 Work Description: Repair garage door mechanism and replace broken windows. Comments: Damien went out of his way on a Saturday evening to get to our house in Ocean City,NJ to fix our overhead garage door. He kept me posted on his eta throughout the day. I found him to be pleasant and enthusiastic. 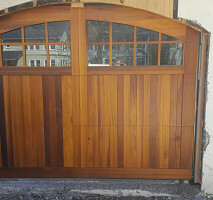 More importantly he was a skilled craftsman who had clearly mastered “all things garage doors”!!! He made a return trip later in the week to replace two windows that had cracked and shattered when the door first came off its track. Before leaving he walked me through what he had done and instructed me on how to keep the springs, bearings and other parts lubricated so as to prevent this problem from occurring again. 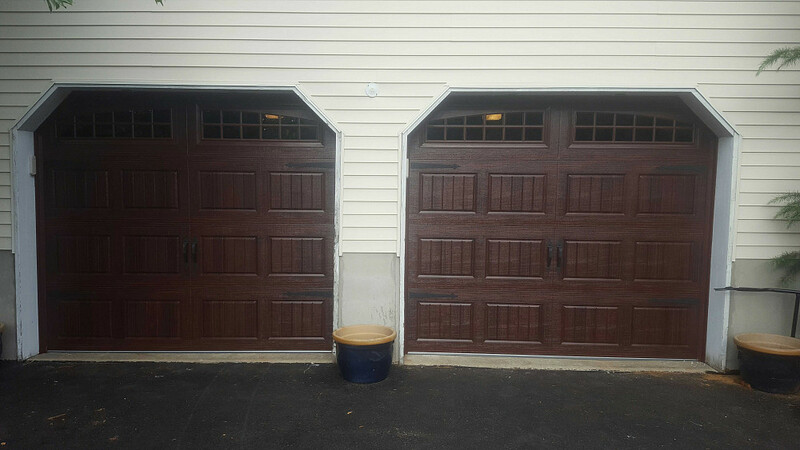 Work Description: Repair team replaced wheels for garage doors and relubricated bearings and hinges. Comments: Team arrived on time, were polite and professional, and worked quickly. Satisfied with result and would recommend them to others. A little pricey. Maybe everyone would have been. Comments: Damien was great to work with. Honest, trustworthy and efficient. Work Description: called late on Sunday afternoon and they came to fix the problem the same day. Great service as well and very, very fair with the price for the repair. 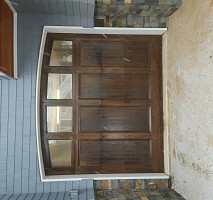 Very knowledgeable about the doors and knew exactly what was needed and repaired the problem very quickly. I would definitely recommend Apex for your service hands down. Thank you Damien for your quick response and for getting this done so quickly for me. Comments: Eccelent workmanship & very curteous. Comments: Damien was GREAT ! He was punctual and did EXACTLY what he promised... and MORE ! 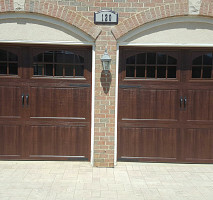 I will recommend Apex Garage Door Service, LLC to everyone ! Thanks again Damien !!! 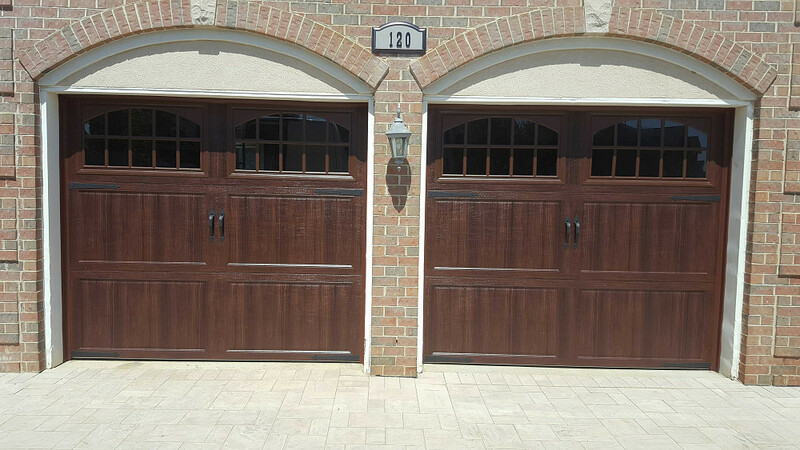 Work Description: Replace two original uninsulated steel doors with new insulated steel doors. Included all HW, installation and removal of all debris. 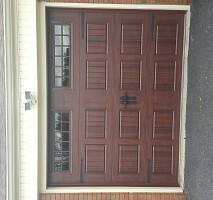 Comments: Excellent work, better quality door and components than the competition was offering at a better price. No hassle pricing , quick turnaround and installed with a tight smooth fit. Damien communicated well and did the work as promised. Highly recommend Apex. 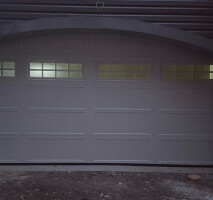 Work Description: Completed the work and installed a new Garage door opener in a good manner. Explained the operation of the equipment and all works well. Comments: Very professional and cleaned up after the work was completed. More money than i had planned to spend, but very satisfied with the job. Work Description: Remove a 25 year old Chamberlain garage door opener and install a new unit. Comments: Damian, the owner of Apex Garage Door Service, has 18 years experience in this business and it is quite evident he knows exactly what he is doing. I was with him the entire time and the installation was flawless. He explained everything to me at each step. He is a true professional and I recommend him with complete confidence. Comments: such a pleasant experience! Damien was so helpful and always easy to reach. The quality of the door and service is top of the line. 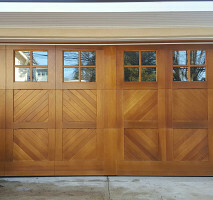 The most smooth and quiet garage door! I would recommend APEX to anyone and everyone. Amazing job! Thank you. Comments: Waiting for written quote for $1350. Work Description: Fixed garage door. Comments: Damian and his crew were AWESOME! 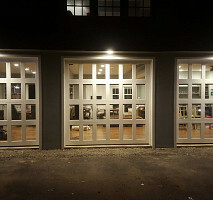 I wish they did other things besides garage doors because I would use them all the time. super friendly, polite and professional.! Work Description: Good quality. Door works like new! Comments: Would highly recommend to others. Work Description: Service men fixed my garage door and made it new again within 20 minutes. Comments: Thank you for your excellent and quick service. Work Description: Replaced my garage door. Removed and took away old door. Comments: Very nice and professional men. Will recommend to colleagues. Comments: Very pleasant,knows his job ,installed very fast all by him self . I would definitely recommend you to everyone I know. Comments: Well done very good job. Work Description: Torsion spring broke! Comments: Damian came out on time and repaired it fixed the squeak in less then a hr. Very good service! Work Description: Replaced a roller that had come out of the track. Went on to replace all the rollers, lubricat every hinge and replace a burned out lightbulb! Comments: I was impressed with his courtesy in calling to say he was running late; super impressed with his effiency once he got the job started. I'm glad he left cards, because I will be glad to recommend Apex to others. Work Description: my garage door needed new rollers, springs, etc. Comments: very professional, good job, garage door is fixed. Comments: They were punctual and courteous. Comments: Work was excellent . Arrived when scheduled. Damian was knowledgeable and explained everything he was doing and what caused the problem. I highly recommend Damian he was efficient and courteous,also told me how to maintain my door to avoid future problems. Work Description: Spring installation for my garage door. Great service. I called and he arrived right away. Saw the problem and went straight to work. Very respectful and he did a great job. Thank you for all your help. Comments: Very timely and responsive. Nice job! Comments: Very efficient, professional, and able to accommodate my budget without compromising the quality. Will definitely recommend to others. Comments: Did a quick ,clean job and explained how to maintain it perfectly. ....couldn't have asked for more. Comments: The installers were courteous and informative. 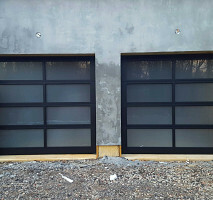 Work Description: Remove double glass doors install garage door. Comments: Very pleased with the work. Apex not only used high quality materials but also paid attention to minor details that set a great job apart from a good job. 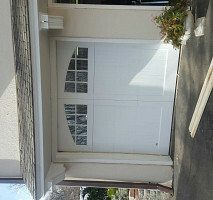 Work Description: Garage door repair. Comments: Very good service on time and problem was resolved. Work Description: Replaced Garage Door Opener and track wheels. Comments: Job was completed with expertise. Damien certainly knows his business,it was done with A-1 quality and this young man was very courteous. 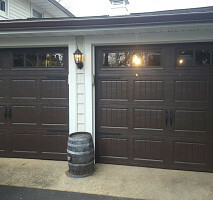 I would most certainly recommend Apex Garage Door Service. Comments: I called to get a quote and set the appointment. They came out did the work and kept to the quote. On time and professional. Work Description: Replaced damage sensors, diagnosed worn and malfunctioning springs and replaced them along with pulleys. Comments: Apex came recommended to me from a neighbor.I couldn't be more satisfied. Damien is a true professional. He returns calls immediately, arrives when scheduled, and clearly explains the work he thinks needs to be done. His work is excellent and fairly priced. I highly recommend his services. Work Description: Installation of new garage door opener. Work Description: Replaced spring, lubricated, adjusted and fine-tuned mechanism. Comments: Excellent, courteous and prompt service at a reasonable rate and a 5-yr warranty to boot. Will definitely call again for maintenance and repair work if needed. 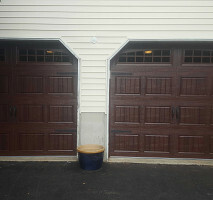 Work Description: Replace 2 extension springs for garage door. One had been broken. Replaced all pulley and all rollers (18yrs old). Adjusted garage door opener to correct height. Comments: Damian, was very knowledgeable and prompt with his work. When I told him what was in my budget he was able to package all the work together and provided a fair price. Work Description: The work was done quick and cleanly. Installation was perfect and product is of upmost quality. I would recommend apex every time. Work Description: removed old door opener. Installed new door opener. Work Description: Garage door opener, key pad and remotes. Comments: Damien arrived precisely on time. Performed a perfect installation in rapid fashion. He then explained all the functions. Great price, great service, great product. This company is nothing less than GREAT! Work Description: Good professional job. Comments: Would recommend them again. Comments: Damien installed a nice unit and was punctual and professional and took time to explain basic maintenance. 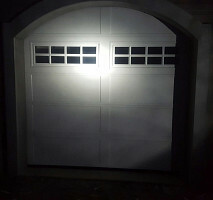 Work Description: Repaired my garage door that would not open property. Comments: These guys were right on time. Work was done on the spot. Fast and friendly! Will recommend them to anyone that needs work done in doors! Work Description: My commercial garage door was not operational. Comments: Apex was awesome. They showed in less than an hour in less than optimal conditions. They immediately assessed the situation and rectified the problem. My door was operational immediately. They got the door up manually so I could finish my tasks, and then stayed without complaint to fix the automatic portion of the door. Comments: Damien was prompt. He explained all the work to be done. He was professional. Everything was cleaned up & taken away. He was true to his word on his quote. I will definitely call him again when I need garage work again. I will also recommend Apex /Damien to anyone who needs garage door work! Thank you, Damien! Work Description: Very good, cleaned up after work+explained everything . Comments: nice work is sufficient. Comments: Came to my place on time. Just how we scheduled our appointment. Made a repair quick with good quality. 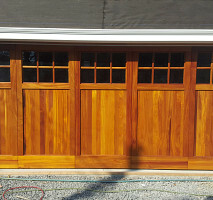 Work Description: Garage door repair, rollers, Azek Boards install, wrap exterior jams, caulk & reinstalled trim. Comments: I chose APEX by surfing Google. I'm glad to say I made the right choice. I couldn't go another winter with a drafty door. 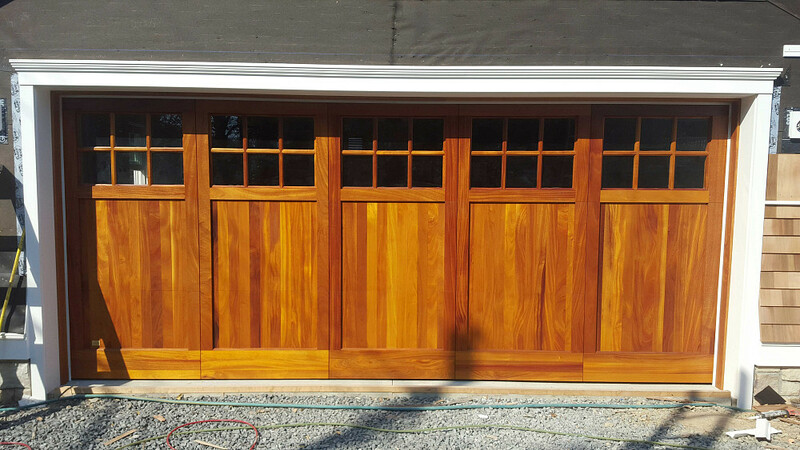 The garage door looks great, tightly sealed. I received a warrenty, and was told how to lube & take of my door. The guys were professional & friendly. I recommend APEX for garage service. Comments: Great job. Would definitely recommend! Comments: fast efficient very professional knows his job and would hire again no question asked. 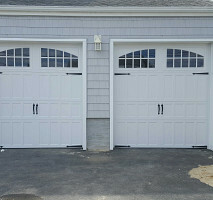 Work Description: Replacement of garage door and opener. Work Description: They fixed my garage door. Comments: Apex was fantastic! My door was an absolute mess and they made it like new. I have referred them at least five times already.